As everyone knows, intuition is warm and fuzzy, qualitative, not measurable. Economics, on the other hand, is quantitative, and if it is not a hard science, at least it is the "queen of the social sciences." It is, therefore, intuitively obvious, that intuition and economics are as if oil and water. The problem is, what is intuitively obvious is not always correct. And, there are two major reasons why intuition and economics are not like oil and water. First, economics concerns itself with decision making, and decisions are made in the brain. The human brain is the size of a grapefruit, weighing three pounds with approximately 180 billion neurons, each physically independent but interacting with the other neurons. What we call intuition is, like decision making, a natural information processing function of the brain. 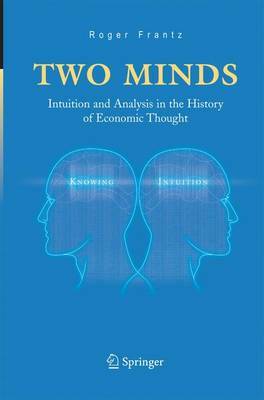 Second, despite the current emphasis on quantitative analysis and deductive logic there is a rich history of economists speaking about intuition. First, the human brain, specifically the neocortex, has a left and right hemisphere. The specialized analytical style of the left hemisphere and the specialized intuitive style of the right hemispheres complement each other.